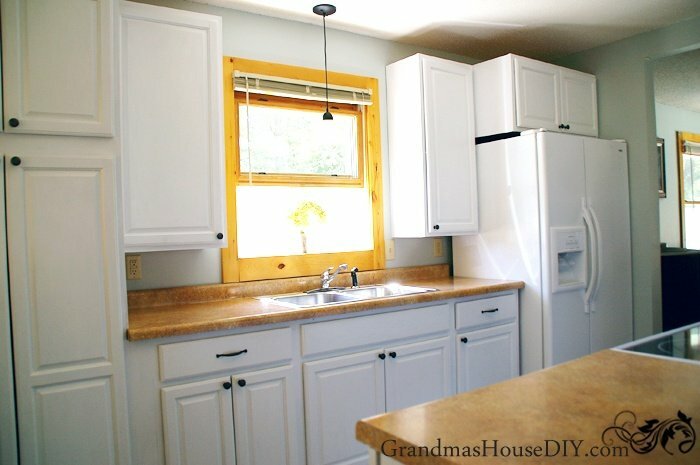 This post about DIY Projects immediately made me think of my Mom’s kitchen. Over the course of three days she and I painted the entire first story of her house including her all of her kitchen cabinets. We changed out all of the lights, put new hardware on her cabinets and painted out all of the hardware in her bathroom to match the lights and kitchen knobs. 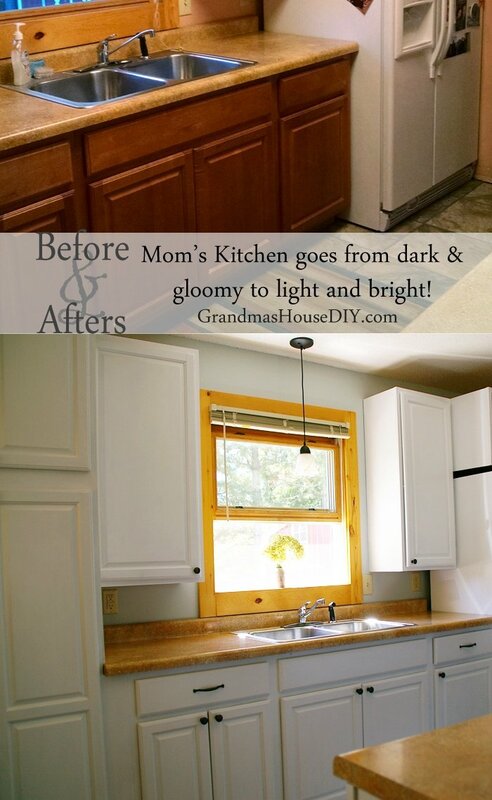 It was a BIG job but, really, anyone could do it and OMG the impact it made on her home! Before we painted her dark brown cabinets out in white we hated her floors and her counter tops. But the change to white made everything look SO different and so much for the better! 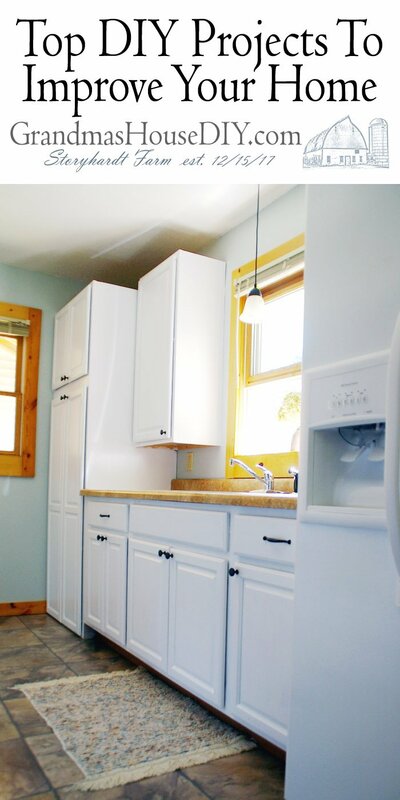 The white brought the cheery yellow hues out of her counter tops when, before, they just looked brown. 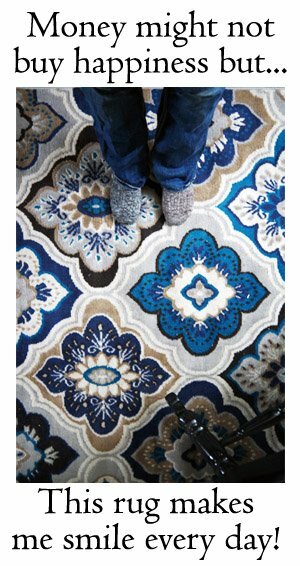 And it also brought the blues out in her floors when, before, it also just looked brown! Paint can truly be life changing! 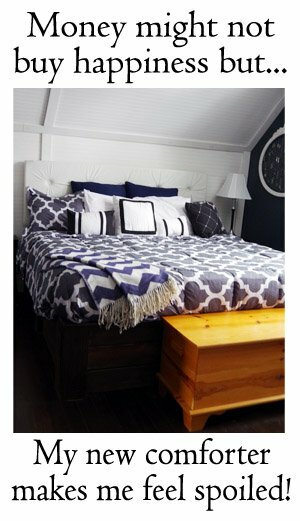 The following is an contributed article with a few more DIY projects and ideas! If you want to improve the look or value of your home, you may think that you’ll need to invest the money in hiring professional renovators. 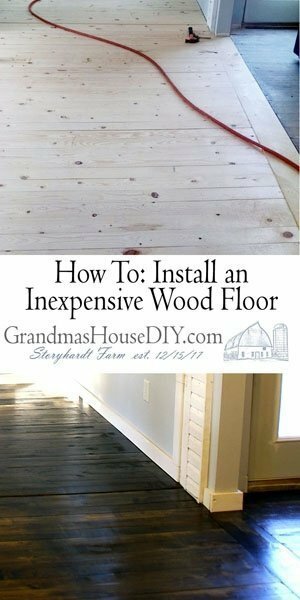 But, in reality, if you don’t have that kind of money to spend, there are still a number of cheap and yet effective DIY projects that you can easily do on your own instead, and that’s what we’re going to talk about today. The kitchen is easily the most important room in your home to improve, assuming that there’s no other rooms in the house that are in unusually poor condition. The reason for this is because the kitchen is essentially the center of the home, and furthermore it’s the one room that potential homebuyers are probably going to pay attention to the most. There are a number of simple DIY kitchen improvement projects that you will be able to do, one of which would be to simply repair or replace the cabinets, which can really help to improve your kitchen’s look. 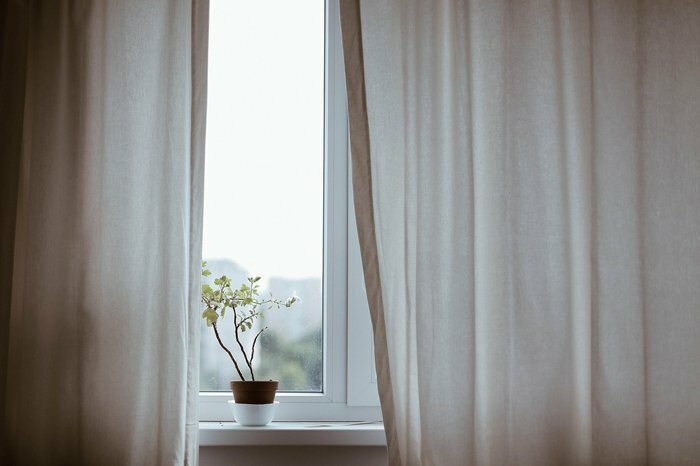 Easily one of the simplest DIY projects to do in your home would be to replace the window treatments such as the blinds, shades, or curtains. Believe it or not, but blinds and curtains can really have a huge impact on how a room looks. The best window treatments should do a good job of regulating the amount of sunlight allowed to enter a room at once while simultaneously complementing the color on the room’s walls. Do you want to know a neat trick to create a new office in any house? Just renovate a random closet. You’ll simply need to remove the door to the closet (most likely) and then insert shelves, including one large on to serve as the desk and two to four others for storing typical office supplies. At that point, you would just need to pull up an office chair and you’ll be all set. First impressions are everything, which is why that the outside of your home will need to receive special attention from you as well. There are a great number of outside DIY projects that you will be able to pursue, from renovating or repainting an outside deck to installing a swing or a hammock on the front porch to repairing or repainting an old mailbox. Really, the possibilities for outside home DIY projects truly are endless. 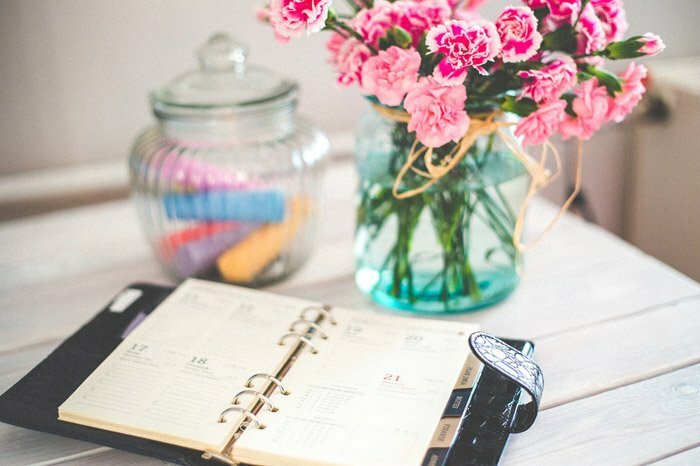 These are just a small sample of the many different DIY projects that you should be able to complete on your own to improve your house. You won’t want to underestimate any of these DIY projects that we have gone over, because they can each do an excellent job of adding an entirely new dimension to your home. Brighten up your home without breaking the bank by simply opening windows, cleaning skylights and removing outdated curtains that may be blocking natural light. Oh so very true Jennifer!! Light really brings life to your home. I remember how gloomy and drab my home was until I decided to have bigger windows installed. It truly made my rooms look bigger and didn’t make everything seem so sad. Great job on your Mom’s home.